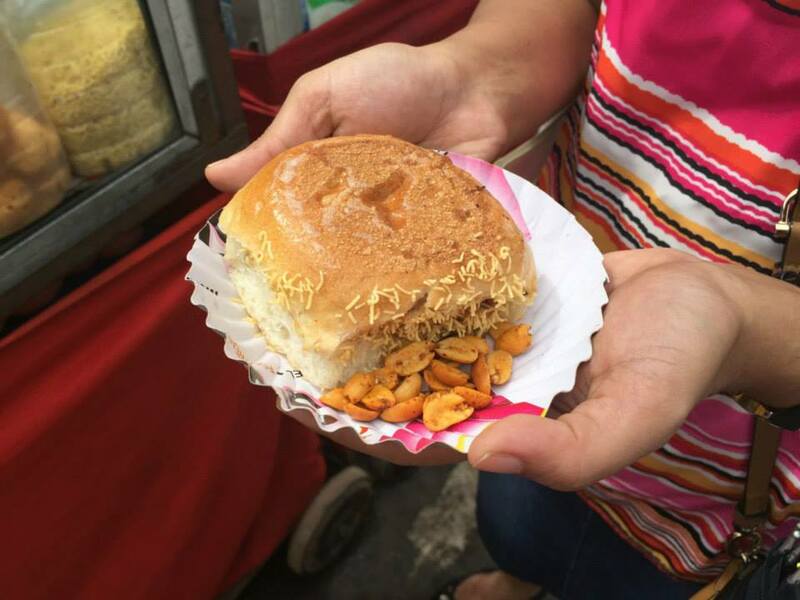 ways been a huge of Pav Bhaji (soft bread with a spicy & tangy potato, tomato and onion mash) and generally seen Dabeli as a poorer cousin. tangy potato mash (without tomato and onion), which is served in a soft bun with a sweet sauce and spicy sauce and topped with pomegranate (yes you read that right! ), coconut, onions and spicy peanuts. The bun is slightly toasted and when combined with the mash and toppings, you get this sweet, tangy, spicy flavour explosion in the mouth. Now this means future meals back home must include both pav bhaji and dabeli pav. What a happy problem to have! 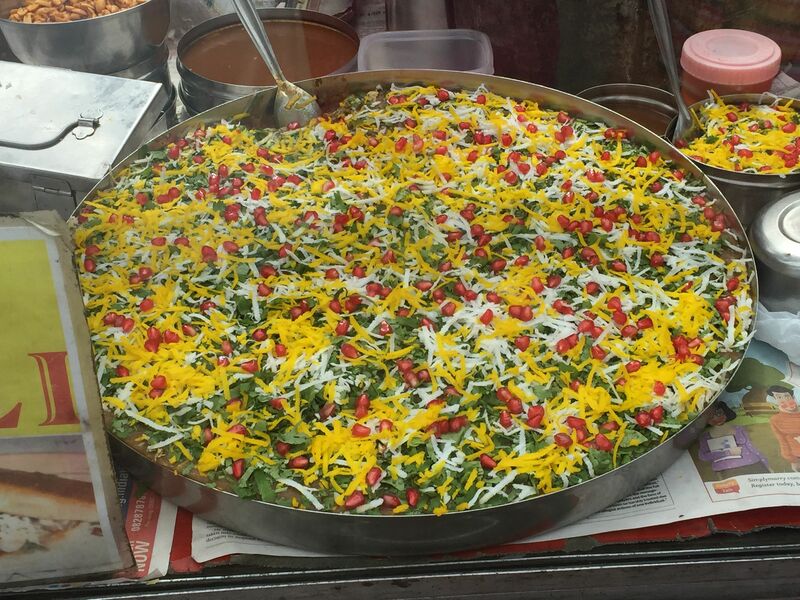 This entry was posted in Mumbai memories and tagged dabeli, pav, potato, street food. Bookmark the permalink.